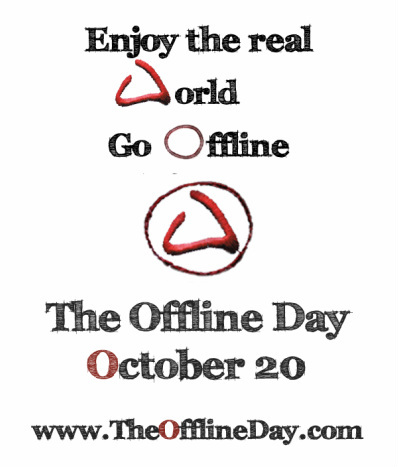 The Offline Day - October 20 Enjoy the Real World Go Offline ! Questioning your network habits - Use your online time more confident - Show your virtual world, that it depends on you - and not vice versa! The Internet is there for you and not you for the Internet ! Spread the word - Be part of the idea !